Empowering legal, governance, and compliance teams to embrace Slack. Complementing Slack’s native retention capabilities, the Hanzo Hold application provides users with powerful controls to apply a legal hold, including silent holds, to enterprise Slack data and to adhere to information governance and data retention policies while meeting the duty to preserve. • Limit risk by preserving exactly the right data on custodial legal hold and nothing more. • Demonstrate defensibility of process via complete audit record of all actions. • Manage legal holds on Slack custodians and easily integrate them into existing workflows. • Capture Slack in an eDiscovery review-friendly format. • Control team access and permissions. Ever wonder if you're getting it right when it comes to Slack eDiscovery? Download this free guide to get 20-pages of tips, tricks, best practices, and the common pitfalls that will help you get control of your Slack data. Manage the preservation of Slack data by channel, group, direct message, or custodian with easy to use interface that puts you in control of the data associated with your legal hold matters. Taking a new approach, Slack workspaces are outlined, not copied, when creating an audit roadmap to identify the scope of information that is subject to a legal hold—enabling you to reduce over preservation and the risk associated with unnecessary copies of Slack data. Conduct analysis and early case assessment of preserved data with advanced text and metadata search, quickly gaining insight into the data in your Slack environment. Review your Slack content in its original context by managing the data at a channel level — no more out of context media and messages. 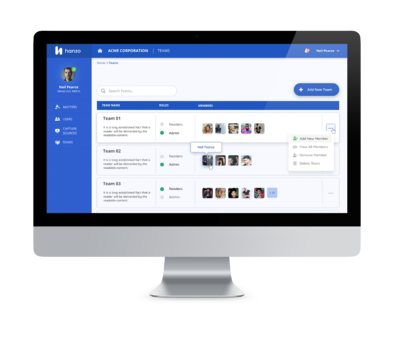 Effortlessly package and move data directly from Hanzo into the review platform of your choice to share with your Legal or HR teams. With your 10-day limited access trial, you will see how Hanzo Hold manages Slack data at a matter level. And, you will be able to search your Slack data and recap conversations in their original context. Feel like you’re going to drown in the endless flood of Slack data? Don’t panic! Hanzo specializes in locating, capturing, and holding dynamic, complex, unstructured data from the web and from apps like Slack. 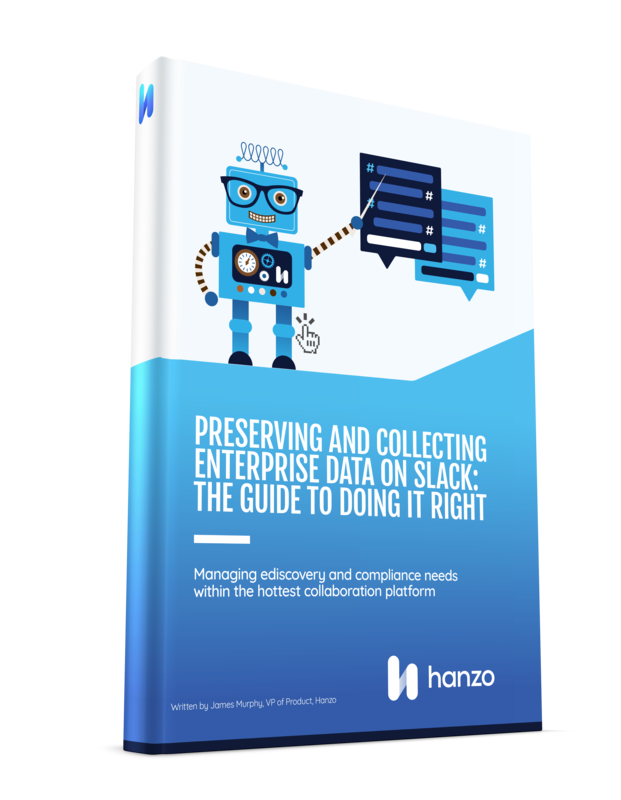 If so much of a company’s internal data that needs to be recorded for compliance or for eDiscovery purposes is on Slack, then, your organization needs a well-thought-out plan to collect and preserve that data. You better believe there’s discoverable information to be found on the web, but it takes AI to conquer the overwhelmingly large data source that is the web, figure out what information we need, and where we can find it.